High Cotton - Charleston is high steppin’ Lowcountry living. It’s a feeling of warmth and celebration that begins the moment you step inside. You’ll find it in our gracious, knowledgeable servers, expertly prepared dishes and a remarkable wine and cocktail program. From conversation and laughter in our bar to our stylish dining rooms of heart pine floors and antique brick, you'll come to understand true Charleston hospitality. 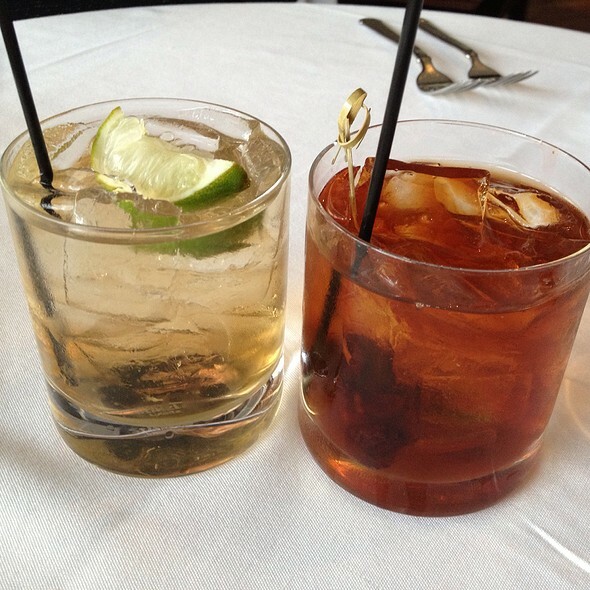 That is, there's always cause for celebration - of our neighbors, our food and drink and each other. It's our great pleasure to share it with you. Enjoy live jazz nightly and during Saturday and Sunday brunch. Private dining rooms available for wedding, business and social events. Private dining available for brunch, lunch, hors d'oeuvres, and dinner seven days a week. There are two parking garages located within ½ block of the restaurant. One is located at the corner of Concord and Cumberland and the second is located on Cumberland between East Bay and State. Street parking is also available. Enjoy live jazz nightly and during Saturday and Sunday brunch. Visit www.highcottoncharleston.com for the full music schedule. Forgot To Make A Reservation, Was Our Anniversary, Not A Local, The Manager Went Out Of His Way To Seat Us, Sent Over A Drink And Desert For Our Anniversary, The Food Outstanding, The Service Exceptional, The Atmosphere Warm And Romantic. Next Time We Are Visiting Charleston, Will Definitely Come Back And This Time Make A Reservation!!! Memorable Experience, Total Joy !!! High Cotton was the best meal we had in Charleston. The restaurant was extremely busy, which meant our table wasn't ready when we arrived. But that didn't matter we found a seat at the bar got a glass of champagne and a martini and listening to some amazing jazz. We were actually happy our table wasn't ready yet. Once we were seated we ordered a bottle of wine and the sommelier was incredible. Then we had oysters, which I must mention were the only perfectly shucked oysters we had the entire 5 days we were in Charleston. Then we had some crab, salad and ahi tuna for the main. Lots of food and an amazing menu. I would highly recommend this to anyone who is going to Charleston. Our anniversary dinner experience could not have been more pleasurable. Our table was perfect, the food was exceptional and the service couldn't have been more attentive and professional. Our server, Lisa, was a gem. 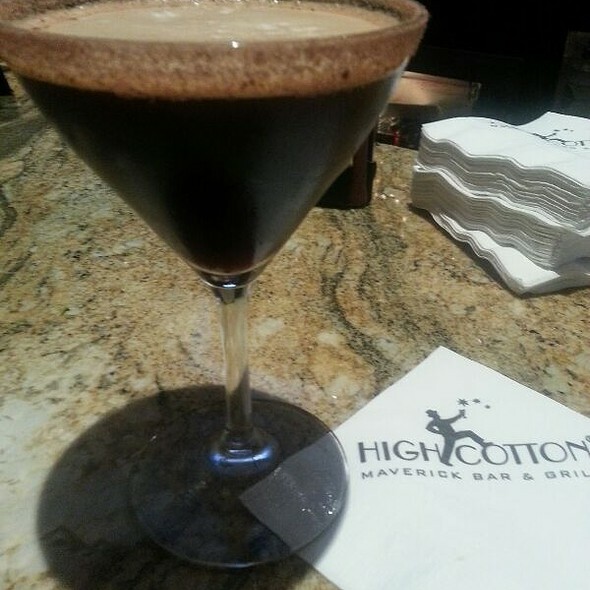 This was our first visit to High Cotton and it is now at the top of our list of favorite Charleston restaurants. Top notch from tip to tail. Smoked trout is excellent. Steak to perfection. White chocolate peach creme is just as awesome as the staff. Wonderful lunch! Charming atmosphere! Perfect Charleston experience. The server really saved the day. Ron is the best! However, very disappointed with hostesses. We arrived on time for our reservations and were informed our table was still occupied and they had no eta for when it would be ready and asked us to sit at the bar where we had a bartender who was annoyed with a simple question of what do you think is better the bellini or sangria. In addition, after 30+ minutes of waiting the hostess came by and said “did you close out your tab because your table is ready” as if we were being an inconvenience. I’d recommend some additional training to make sure Customer Service starts at the front of the house. We had a fabulous brunch. The service and food was impeccable. 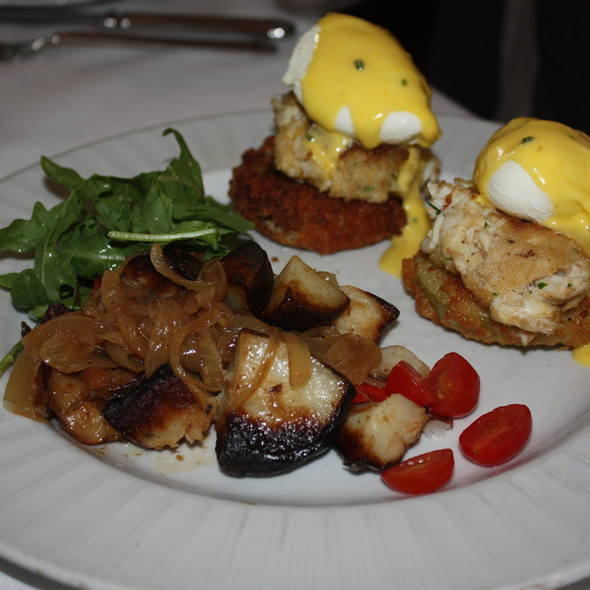 My only complaint is they skimped a little on the hollandaise sauce for the crabcake benedict, however, the eggs were perfectly cooked, the crabcakes were delicious as well as the shrimp and grits. Would definitely go there again. It was a delightful start to our day! Food not that interesting. I had some grilled swordfish over beans. Can’t even remember it. Yucky. Husband had Lane Snapper fish dish and it wasn’t great, either. 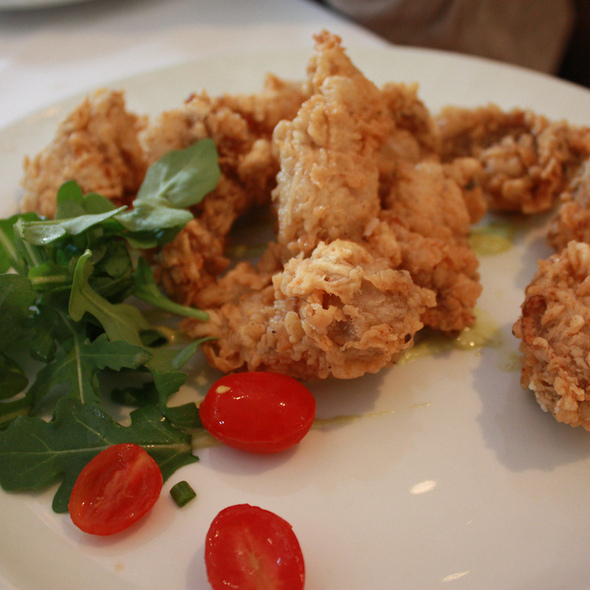 Buttermilk fried oyster appetizer was good but so filling. All in all, same old stuff on menu. I would eat at SLightly North of Broad, Puggans Porch, or Peninsula Grill before this place. Lovely atmosphere and bright cheerful room. But food lacked heart. Had a wonderful Saturday brunch here! Highly recommend. Loved the food and ambiance. Great restaurant with delicious food! Great wine list, first rate service and a very nice atmosphere. Enjoyed it very much! It was our anniversary and oh, boy, did Ron take care of us!! Live music, quiet atmosphere, phenomenally delicious food. The baked oysters with pancetta was sublime. The jumbo scallops with micro greens was perfect. The tenderloin was perfection. We give High Cotton a perfect score on everything!! We came for Father's Day with family. The food was good and the service was what could be expected from a Hall's restaurant. I had the steak and eggs cooked just right but not on par with Hall's Chophouse. The Jazz made the afternoon pleasant. Fantastic dinner with great environment. Service by Seth is the best I have ever received in Charleston. They genuinely care about your happiness. We went to high cotton for dinner and got together with both old and new friends. There were 6 of us total. Jen was our server and couldn’t have been better! She was attentive, personable, and even took several group photos of us. Everyone’s meals were perfect. I got the filet and it was cooked perfectly. Highly recommend. My sister, niece and I dined here on June 15, 2018 to celebrate a "birthday of significance"! From the moment we walked in, we were pampered and taken care of. We were seated at a table that had a wonderful view of the street as well as the restaurant. Our server was Scott and he took excellent care of us, offering suggestions but never overbearing. The She Crab Soup was divine, as was the shrimp cocktail we shared as an appetizer. Our entrees included the special of the day and the swordfish; both were prepared to perfection and the right proportion for sharing. Although we didn't order dessert, Scott brought a piece of their coconut cream pie as a tribute to my sister's birthday. If you get the opportunity to try this dessert, I highly recommend it! The evening was a wonderful and relaxing time together and one that we will long remember! We had the best time dining at High Cotton for our anniversary. 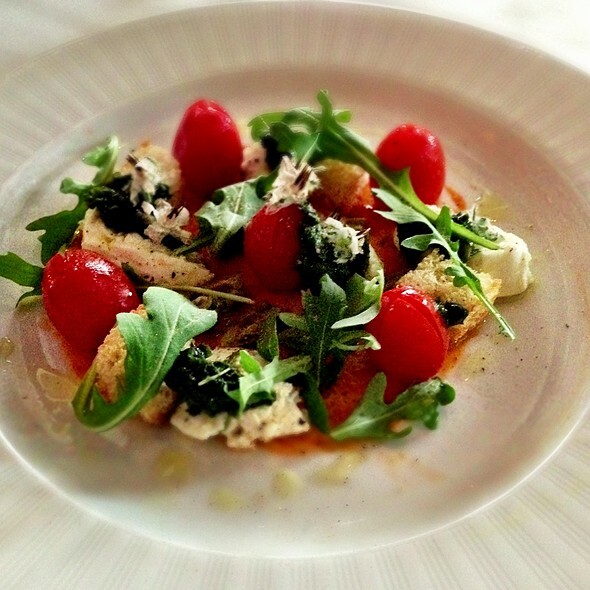 The food was delicious, atmosphere was wonderful, and service was exceptional! Our server Scott did an amazing job! He was very friendly, personable, and gave wonderful recommendations. The manager even gave us complimentary champagne for our anniversary. Will definitely be back next time we are in Charleston. We vacationed in Charleston and dined frequently. 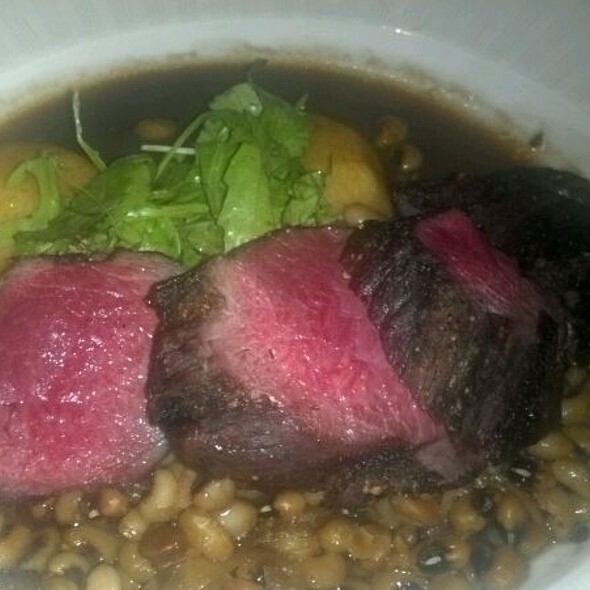 High Cotton was, by far, the best dining experience in the city! Will recommend to all my friends that plan to visit. Went for Drusilla's birthday dinner. She says it's the best. Staff very attentive, shrimp & grits perfect, great desert. Corner window table get the noise to acceptable. Excellent soft jazz. Go to Magnolia instead! Asked for a black napkin twice - he delivered it but left the white one in place, the waiter was absent from our table - had to ask to have the water and tea refilled several times, the bread/clean up girl was either on her first night or lost in space - she was busy looking around but not focusing on what needed to be done. The manager was attentive to the table of pretty young girls next to us and talked about how he could get them extra sauce for the lobster gnocchi but oddly never mentioned that to us. The waiter was so oblivious he missed the fact that the girl at the next table ordered Tuna and while everyone at her table told her it was prepared properly she hated it and wouldn't eat more than the first bite - it sat in her plate without him being aware her expensive meal was less than tasty. Our bread basket was brought out with a crusty dirty napkin wrapped around the bread. I asked for a tea spoon to stir my sweet n low in my tea only to be presented with a regular spoon - it is tough to stir a sweetener that sits on the bottom of a tall glass with a short spoon. We were in the main dining room on the right with the tall windows looking out at the city walking by- the view of those walking and construction was the highlight … the lobster was good and thankfully I overheard I should ask for more sauce! Skip the misery and go to Magnolias … and while there try the Fried Green Tomatoes! Great food . Great service. Would highly recommend. Service was wonderful. Noise was pretty bad but there was a large party that was making all the noise. Once they left it became bare able. Little disappointed with food but would probably return. Fantastic! Great food and service. Definitely recommend! Atmospher, food and service, all a perfect 10. You will not be disappointed. We enjoyed a very good Sunday brunch even on a very busy day for the restaurant! The food was very good. The service was attentive. The atmosphere inviting. We'd go back in a heartbeat! We went for Sunday Brunch. Some very unique brunch items. 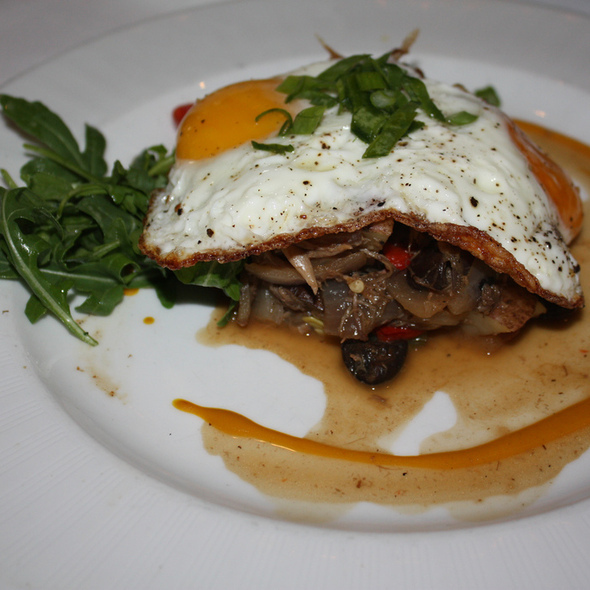 Phenomenal brunch in a great atmosphere with groovy live jazz. What a delight! Jennifer was an attentive and pleasant server. So very glad we made a return trip and have the opportunity to say how great it was! Our experience in March was decidedly different, but thrilled that today was back to a High Cotton experience! It was my birthday and they went above and beyond. Our waiter was amazing. Will definitely be back next time we visit! We had to wait about 35 minutes past our reservation but that was not a problem because the manager gave us 3 free fantastic appetizers. Food and service was great and it's a beautiful restaurant. The only disappointment was the beer selection. Very weak draft selection especially for Charleston. Loved everything about the dining experience. 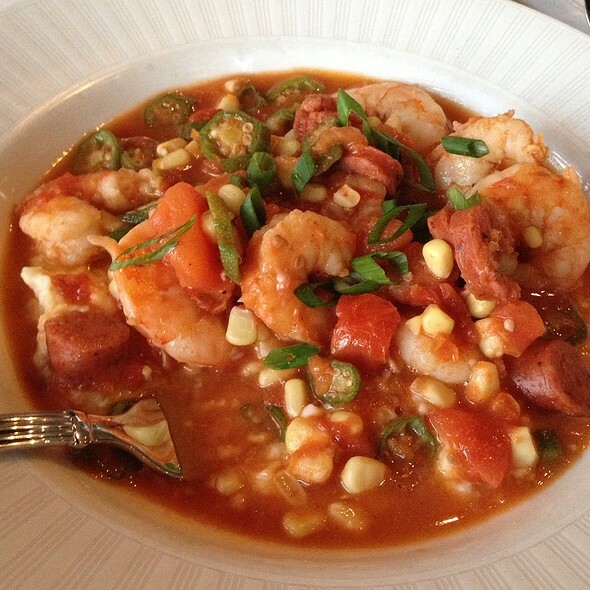 It is indeed a fine example of Southern Dining at its best. The service is also exemplary. My old favorite is now replaced and my new is walking in High Cotton. 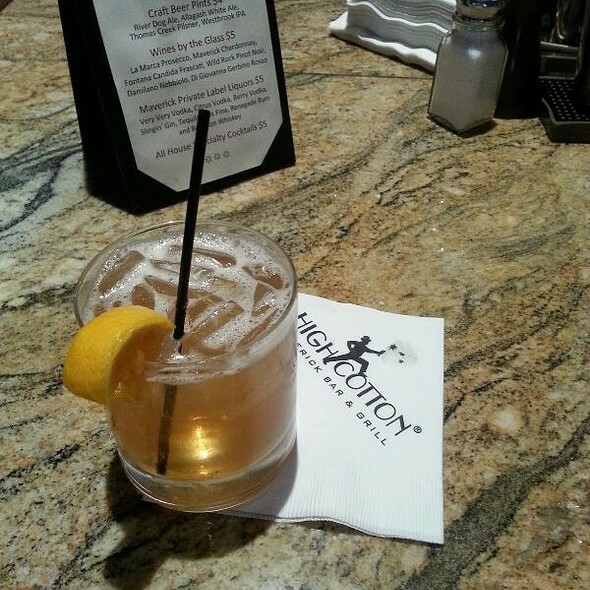 Although I have lived in the Charleston area since 1991, yesterday was my first visit to High Cotton. Everything was fabulous! From the wait staff (Fabian was wonderful!) to the presentation of the food, to the choices on the menu to the liquor selection. This was a special occasion with a meeting of friends I went to college with and had not seen in maybe 28 years! High Cotton did not disappoint on any level and we will certainly be returning sooner than later. Thank you for making this occasion extra special the way only Charleston can do. My girlfriend and I went here for brunch when we were in Charleston for a girls weekend. It did NOT disappoint!!! Not only was it the best brunch we had over the 4 days we were there, but the service was impeccable. Everyone was so friendly and attentive. It was such a cute restaurant, as well. Loved the atmosphere. Food was excellent! If we had discovered this on our first day we probably would have gone back again :) Highly recommend! Everything was absolutely amazing! By far my favorite brunch spot! !